Goshawk Chasing Jay in Snow Scene with fake broken ice on a puddle ready for glass top to case. 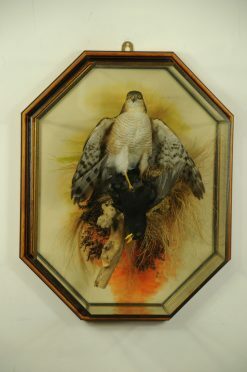 This was one of my entries for the UK taxidermy competitions. 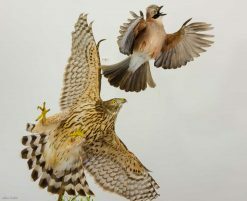 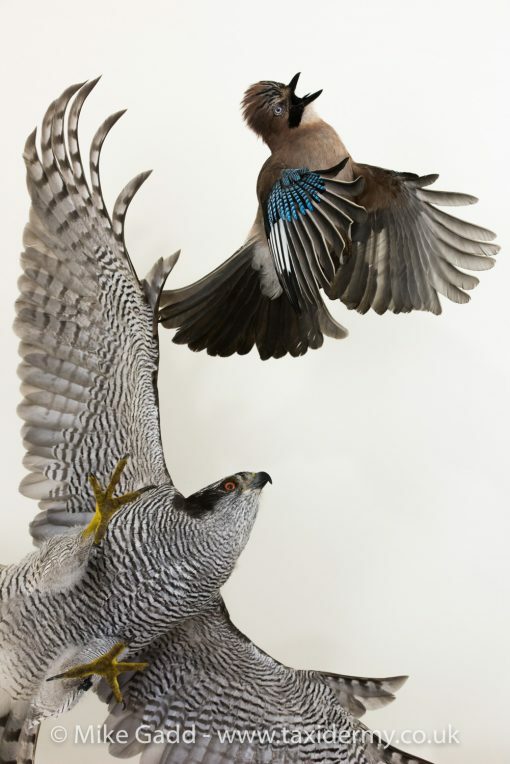 The inspiration came from a TV program about sparrowhawks chasing jays and the jays were screaming at the sparrowhawks. 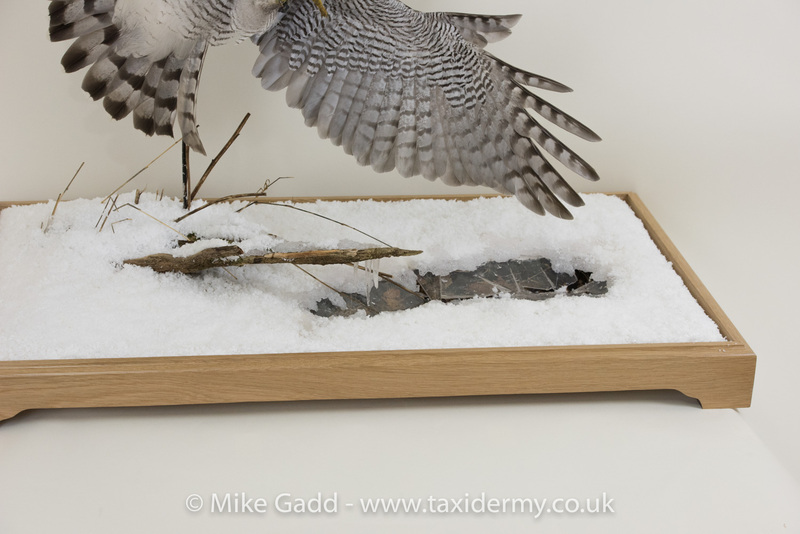 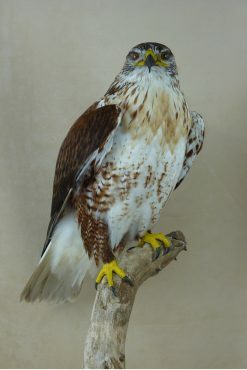 I just thought a male goshawk could look really good if done well in a good flight pose. 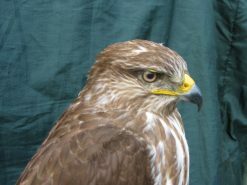 It was a great learning curve and now having got some good and helpful feedback on the errors I made, I may try something similar another year. 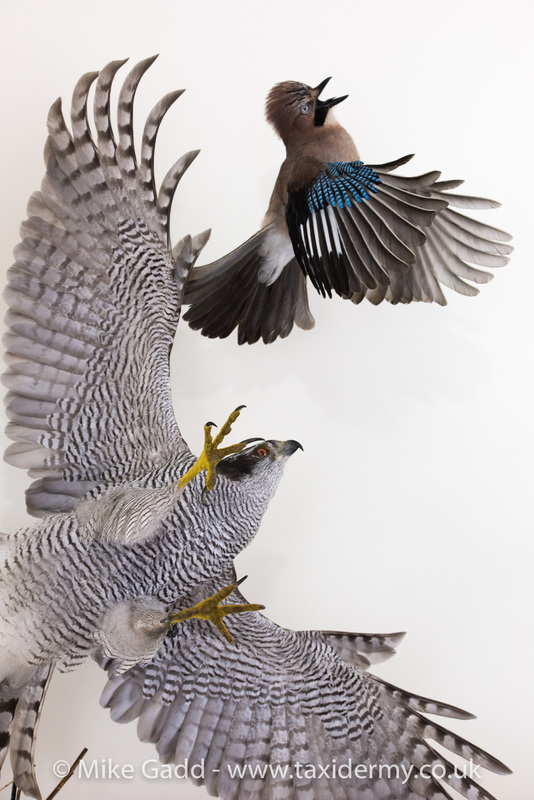 This particular bird failed on anatomical accuracy with the wings finishing of the bird, groundwork and general feel of the project. 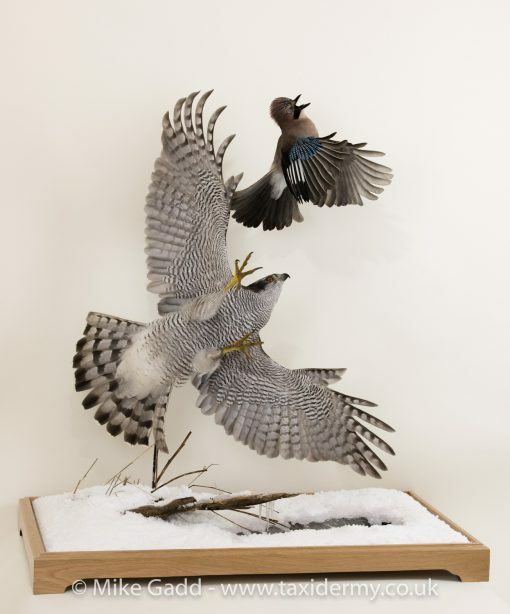 As such it was a long way behind some of the other excellent bird taxidermy mounts that year and failed to get nominated for entry to the competition.